1. Clonmacnois. 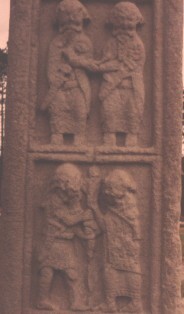 Detailed view of two panels. Cross of the Scriptures. East Face. Lexikon des Mittelalters 1, , Munich (1983) .